By Kwaku Person -Lynn, Ph.D.
(Part 1 of 2) – To understand how major corporate record entities manipulated control of black music, we have to go back in time to dissect an elaborate, complex, financial and legal methodology. It is the common story of large businesses swallowing up smaller businesses, but in this instance, there are some unique peculiarities needing closer inspection. This story begins in the 1980s with the sale of Motown Records, a once black-owned record company, to MCA Records and Boston Ventures Limited Partnership. The Afrikan American community felt a great loss of one of its cherished institutions. Around that same period it seemed like war had been declared against the survival of black-owned record companies. Solar Records was involved in a suit, counter-suit with Warner Brothers Records for control of its assets. Sussex Records, a once fast growing black-owned record company, was forced to cease doing business for tax reasons. Philadelphia International Records, a quality black-owned record company, was under the distribution control, lifeline to its financial survival, of CBS Records (also known as Columbia Records). These are mammoth events virtually placing the dominance of recorded black music in the hands of major record companies. The hidden agenda may have been the closing of all doorways towards the development of full service (production, manufacturing, distribution) black-owned record companies in America. Had this occurred, as improbable as it seems today, it is possible that black record companies would have ultimately controlled a larger or equal percentage of the music business, competing with major record companies. 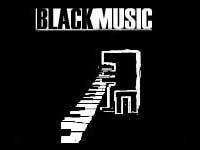 It was told to me by Dave Parker (oldest promotion man in the business at that time), that of the $500 million dollars made in 1987 by CBS Records, approximately 80% was from black music. black-owned record companies were obviously seen as a potential threat to the control of the music market. The battle to control market share can best be understood by looking into the case of Stax Records. In the 1970s, it was the largest, most diverse black-owned record company in the music industry. Stax artists roster included such stars as: Isaac Hayes, Otis Redding, Al Green, Rufus and Carla Thomas, The Staple Singers, Booker T. & the MGs, and more. It also had a jazz label, blues label, gospel label, and even a comedy label where such artists as: Bill Cosby, Richard Pryor and Jackie “Moms” Mabley launched their careers. This era paralleled the turbulent 60s, with the social, cultural, political and musical climate being fueled by the black Consciousness Movement and the Viet Nam Peace Movement. The financial profits generated by black recording artists and the phenomenal success of black films and soundtracks caused black entertainment businesses to be closely monitored. Stax Records reached several peaks with the overwhelming success of “Wattstax.” The live concert of Stax artists in the Los Angeles Coliseum attracted some one hundred and twelve thousand black people, without incident. It produced a film of the same event that was seen worldwide, and was the first to get into the revolutionary technique at the time, video production. The success continued when Isaac Hayes, one of Stax top artists, won the Oscar for best original film score for “Shaft.” This was during a time when black record companies (Stax, Sussex, Motown) had the lion’s share of black artists. The major record companies, not to be left behind, sat up, took notice, determined to find a way to control the lucrative black music market. CBS Records took an aggressive lead by hiring Logan Westbrooks, a pioneer in black music marketing, to maximize their profit margin in black music. When Westbrooks joined CBS, he was unhappy with the way records by black artists were being marketed. “There was a vice-president of pop promotion, and the person that headed the black music division would report to that individual. My position was that we should have a complete and separate marketing division reporting directly to the vice-president of marketing, which is the same way that the White side was structured. That also was on the premise that CBS realize that the black market is a separate entity and should be approached from a black marketing standpoint as opposed to the way it had been done in the past. They bought it. In order to approach the situation scientifically, CBS Records commissioned the Harvard University Business School to do a study. Westbrooks served as the coordinator. The title of the study was, A Study of the Soul Music Environment Prepared for Columbia Records Group. The Harvard team was officially titled the “Columbia Records Project Group.” In his book The Anatomy Of A Record Company: How To Survive The Record Business, Westbrooks outlined some of the key rationales for the study. First, CBS wanted to determine the profit potential, so they would not forfeit any market share. Second, CBS wanted to examine the crossover potential (crossover indicating crossing over from the Soul chart to the Pop chart in the music industry trade magazines, or as many described it, from the black chart to the White chart). Charts contribute heavily to records being played on radio. In 1972, when the study was conducted, CBS Records had only two acts they felt could effectively penetrate the black market: Sly Stone and Santana. “The following recommendations were suggested to correct this: purchase already developed talent rosters from companies like Philadelphia International Records, Stax Records; revive and re-establish proven talents (Isley Brothers, O’Jays, Lou Rawls); take breaking groups and break them bigger (Earth Wind and Fire, Harold Melvin and the Blue Notes); buy into breaking trends (Jazz Fusion through Miles Davis and his ‘alumni’: Weather Report, Headhunters, Mahavishnu Orchestra), and perpetuate success, Michael Jackson.” Westbrooks. The results of the study were quite striking. For instance, CBS Records developed a black Music Marketing Division that was copied throughout the industry by every major record company doing business in black music. CBS increased its artist roster from two progressive black-oriented acts in 1972, to one hundred and twenty-five in 1980 – the largest roster of black artists in the industry. Michael Jackson broke all previous sales records with his album “Thriller,” anticipating another big one with his next album, “Bad.” At that time he was the number one music artist/entertainer in the world. The bittersweet side of this, it institutionalized black popular music, but it caused other forms of music: blues, jazz and folk music to suffer virtual elimination on most radio play lists and concert bills. According to the study, it created more jobs for blacks, a point that must be clarified. Though dozens of blacks were employed to capitalize on this new found market, if the discontinued black-owned record companies had survived, hundreds of blacks would have been employed. Ironically, Clive Davis, President of CBS Records during the time of the study, denies ever having used it, “I went ahead on creative feel, intuitive reasoning and common sense, not because I had any study or blueprint. I’ve never read that study, I’ve never seen it, and I’ve certainly never used it as a blueprint. [The study] did not form the basis for any move that I made,” Westbrooks. According to Verdine White, bass player for Earth Wind and Fire, “Columbia did a Harvard study on black music. Clive followed the Harvard study in terms of the viability of black music. He really made black music his goal. By signing us, Philadelphia International, Bill Withers, and Herbie Hancock (Miles was already on the label), they wanted to make a change.” Mr. White said that since the 1920s and Bessie Smith, Columbia had not been successful with black music.